PolyClean Waterbottle: 28oz. Poly clean is the polycarbonate alternative. It doesn't hold odor or taste. Made in the USA! 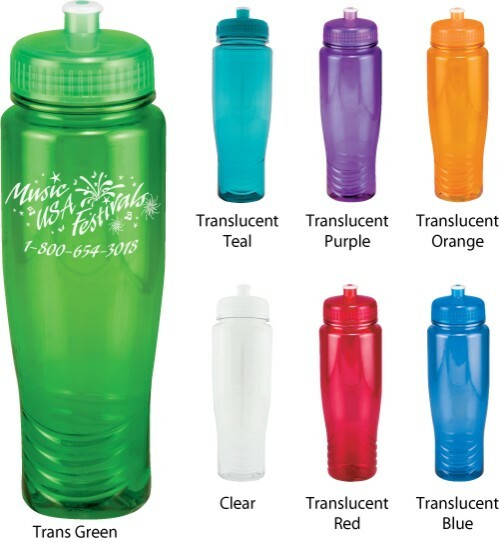 Transparent Colors: BLue, Orange, Green, Charcoal, Aqua, Red, Purple, Clear, Pink.